LOS ANGELES – April 1, 2019 – The awesome power of Iron Man’s armor is now in your hands with the Iron Man MK50 Robot, the first-ever humanoid robot inspired by the Marvel Cinematic Universe (MCU). Built by UBTECH Robotics, a global leader in intelligent humanoid robotics and AI technologies, and officially licensed by Marvel Entertainment, the Iron Man MK50 Robot combines advanced robotics with augmented reality to give you a superhero experience worthy of Tony Stark himself. The Iron Man MK50 Robot is your portal into the events after Marvel’s Avengers: Infinity War and leading up to Marvel’s Avengers: Endgame, hitting theaters worldwide on April 26th. 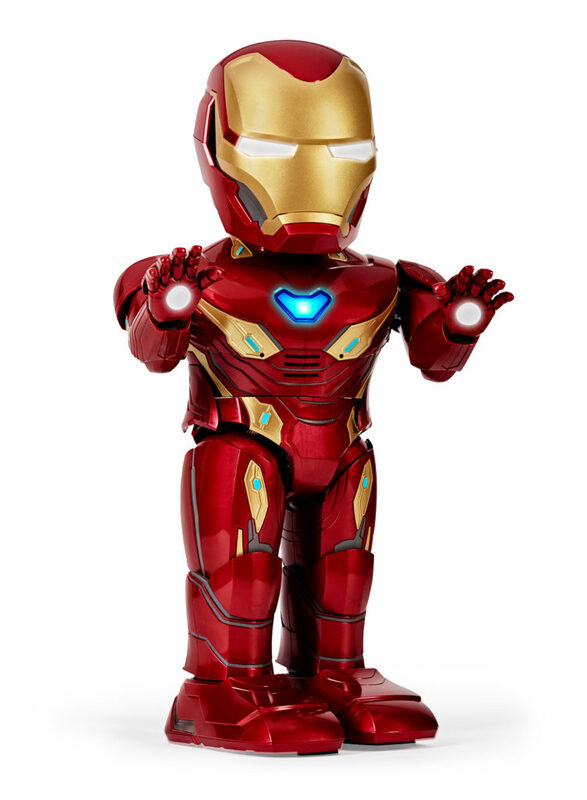 Get in on the action through your Iron Man MK50 robot’s ability to control its movements, lights, and sounds using a mobile device; complete augmented reality missions; customize the robot’s face with your own; and code original, custom action sequences to personalize your own robot. A dynamic augmented reality (AR) experience through a free companion app for iOS and Android that lets you play as Tony Stark and suit up in the iconic MK50 armor to practice your battle skills. Build your arsenal of nanotech weaponry, then battle against enemy drones inspired by Iron Man’s iconic villains, like the Chitauri and Ebony Maw. “I am Iron Man!” Use your mobile device to upload your own photo and custom audio to your Iron Man MK50 Robot’s face display. Friends (and enemies) will be blown away when the retractable faceplate opens to reveal you as the hero underneath Iron Man’s armor. 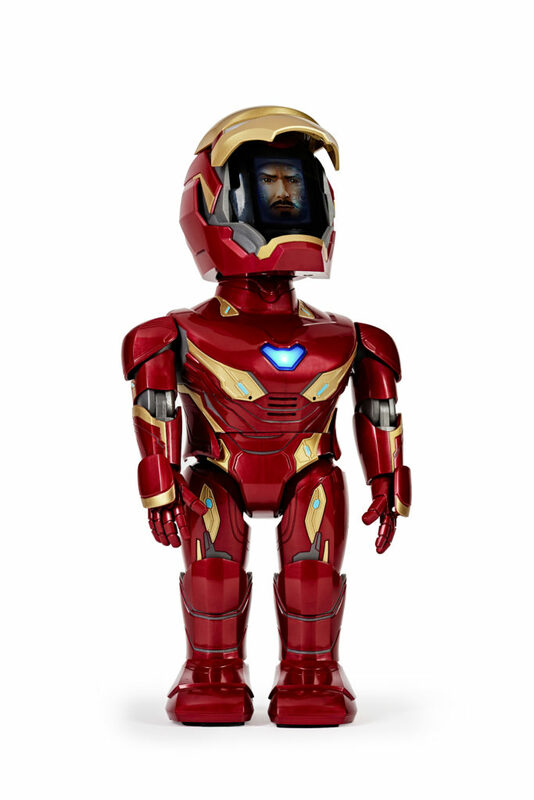 Mobile Command Protocol puts you in control of the Iron Man MK50 Robot’s motors, lights, and sound, with the ability to select specific phrases from a recognizable Tony Stark voice. Iron Guard Protocol offers custom patrol capabilities, utilizing cutting edge light sensor technology to detect enemy invaders and respond with audio and light reactions. Custom Protocol allows you to build one-of-a-kind moves for the Iron Man MK50 Robot using block-based programming. The visual drag-and-drop programming editor lets you create simple, custom Iron Man scripts without requiring any programming knowledge while giving you the full Super Hero power of Iron Man’s MK50 technology. Established to provide cutting-edge technical solutions, UBTECH Robotics is a highly innovative software house, systems integrator and technology provider. The company is best known globally as the industry leader in humanoid robotics, such as Walker, Alpha 1S, Lynx, and Cruzr, as well as its award-winning JIMU Robot line of robots designed to support STEM education in a fun, hands-on way. With its world-class robots that are interactive and enjoyable for the entire family, UBTECH Robotics allows you step away from traditional play and into a world where robots are our friends. For additional information about the company, follow UBTECH Robotics on Facebook, Instagram, YouTube and at www.ubtrobot.com. Dieser Eintrag wurde veröffentlicht in English, Fun, General und verschlagwortet mit Iron Man, Marvel, MCU, MK50, Tony Stark, UBTECH von Sebastian Trella. Permanenter Link zum Eintrag.